Okay, I think it's been long enough for any corrections and suggestions to occur since I left for Oahu for a month. Yes, that also means that I survived a "ballistic missile attack", but enough of that. 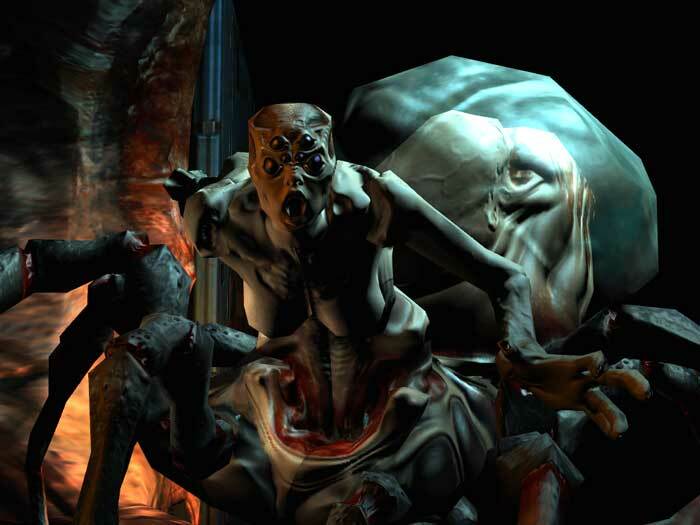 While I was away, Malancthon brought to my attention the Vagary due to the fact that it was just not one-off boss character in Doom 3 but rather a reoccurring enemy that could be considered part of the daemonic hord. Frankly, it's been a while since I last played the game so a few details might have escaped me. So revisiting the Doom Franchise, we have the Vagary. One of the more unique daemons of hell that have taken corporeal form, the Vagary is a daemonic arachnid-like creature with a humanoid torso in a twisted, female caricature. The daemon’s most impressive aspect, however, is its telekinetic ability to toss small objects at high speeds at prey to either stun them for a close up kill or outright slaughter. However, it requires largely ranged attacks due to the fact that it is rather weak compared to other similar daemonic beings and rarely does it enter into a battle at a disadvantage. Only through subterfuge and surprise will allow any potential prey to overcome a Vagary’s trap. Next up, we have the last of the Jericho Franchise with the Gladiator. The main attraction of Vicus’ colosseum, the Gladiator is a massive being whose great physical strength and immunity to pain is balanced out by their lack of intellectual skill or ability, equal to that of a three-year-old child. 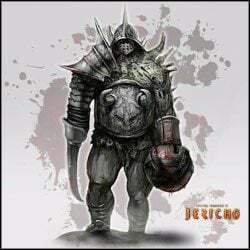 His left arm is replaced with a flail that terminates in a massive ball for long-ranged strikes with a massive claw on the other to impale enemies that are conveniently close. -3 - Vulnerability “Exposed Back"
From the Crysis Franchise, we have the Reaver Commander. Commonly called “Reaver Commander”, the Ceph Assault Command Unit is one of many specialized command variations of the Stage 2 Ceph for their invasion/colonization of a suitable planet and perfectly adapted to that particular biosphere largely through the assimilation of infected flesh by the aboriginal sapient species of said planet. And in case anyone is wondering, this is largely my own creation and thus there are no pictures for visualization sake. 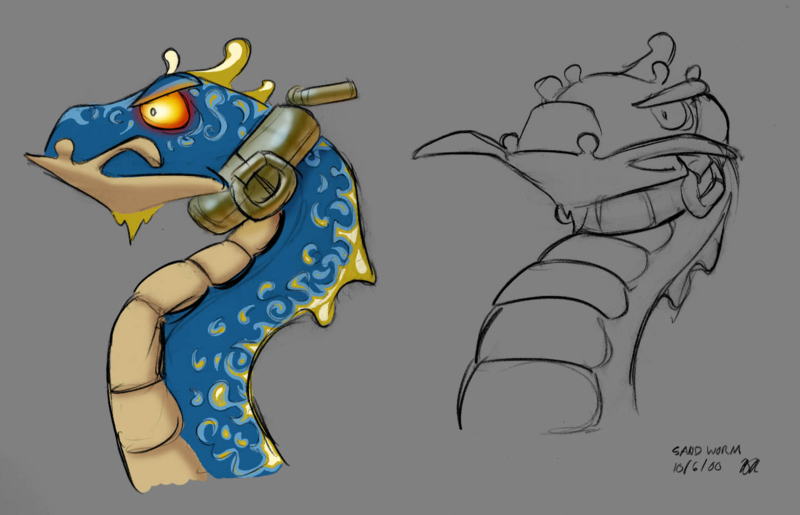 And rounding out this installment, from the Jak and Daxter franchise, we have the Sand Worm lurker. An Oceanside-dwelling Lurker, the Sand Worm or alternatively the Sea-Serpent Lurker that make sandpits their home and lair from which they strike against prey and hostile targets. However, they are unable to traverse any further from their sandpit home and are equally slow in their attacks, which create ample time for any form of counter attack. Anway, that should be it for this installment. Not too sure what will take over for Jericho's place for the updates. I'm currently stuck between Destiny and hitting it off with the Fallen or start with stock enemies from Shantae, 1/2 Genie Hero. It'll probably depend upon how I feel about it later down the line and potentially forum preference. So until next time, do anyone feel comfortable with the idea of using these NPC mooks for their own campaigns or do they need some corrective tweaks? First of all, thank you mod for deleting those obvious bot replies and their malware hyperlinks. 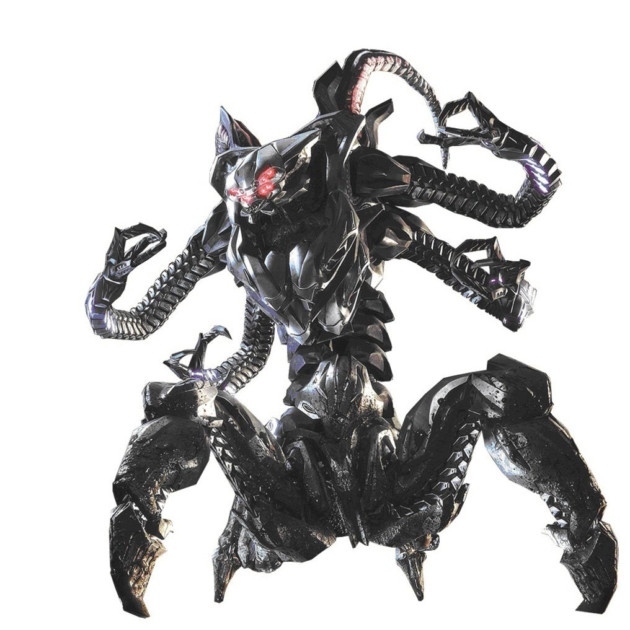 Anywho, since there are no other replies or notations on the previous installment, let's get going with the Ceph Mastermind from the Crysis franchise. Commonly called “Mastermind”, the Ceph Field Commander Unit is one of many specialized command variations of the Stage 2 Ceph for their invasion/colonization of a suitable planet and perfectly adapted to that particular biosphere largely through the assimilation of infected flesh by the aboriginal sapient species of said planet. 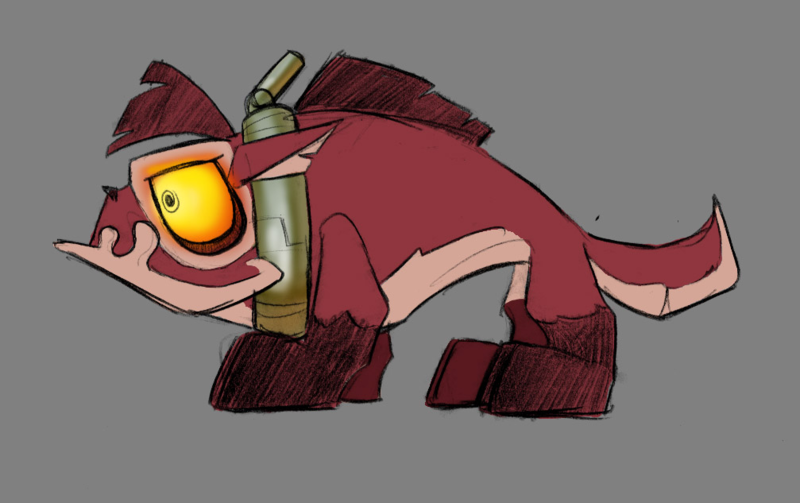 Next up, from the Jak and Daxter franchise, we have the Lurker Puppy. A canine-esque Lurker, the Lurker Puppies are used as patrol and spotter units to alert other Lurkers of intrusions with their loud barks. However, due to their size and youth the Lurker Puppy are not well suited for a confrontation and are either easily slain or flanked and avoided. And lastly, from the Destiny franchise, we have the Fallen Shank. 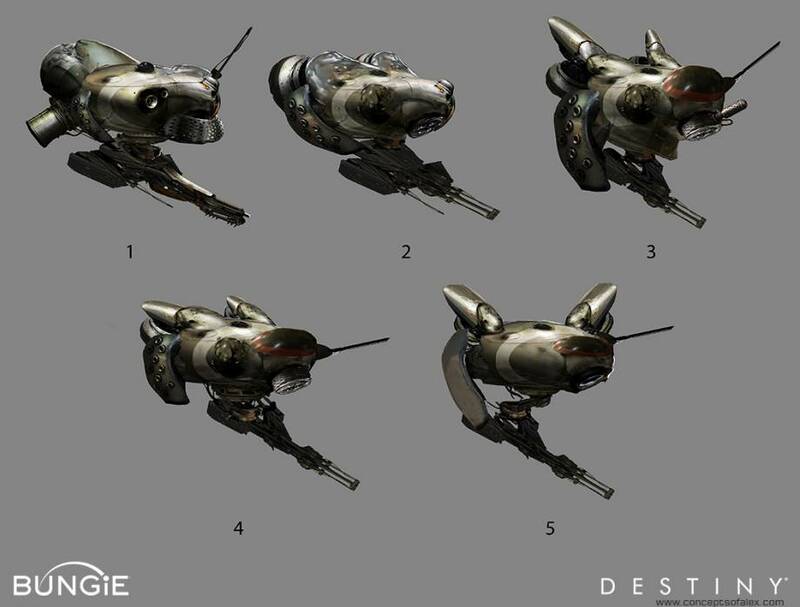 A robotic Eliksni unit, the Fallen Shank is utilized by their Fallen masters to scout ahead of a group, serve as a sentry, and as a repair unit for Fallen machinery. 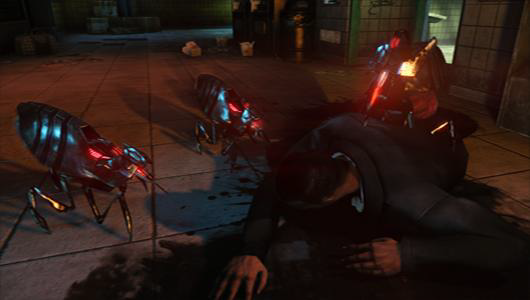 Due to their low armor, the Shanks are best utilized in swarms rather than individually in order to overcome threats. And that should be it for this installment. So until next time, are there any comments, corrections, or suggestions in terms of OVA2e compatibility or do these conversions pass mustard? Well from the lack of response, I can only assume that my previous conversions are satisfactory for regular campaign play. So let's go onto the next installment, starting with the Ceph Tick from the Crysis franchise. An automated bioweapon platform, the so-called Ceph Tick is primarily utilized by the Stage-2 Ceph to gather biomass from infected native sapient life forms to give rise to other Ceph Units while at the same time limiting the impact of the viral spores upon the surrounding environment. Though there have been reports of active attacks and infestations, the Ceph Tick will normally assault targets if said target is weak enough for it to kill and/or have sufficient numbers to overwhelm them. Next up, from the Jak and Daxter franchise, we have the Jungle Snake. A serpentine-esque Lurker, the Jungle Snake largely dwell within the trees of the Forbidden Jungle. Largely territorial, the Jungle Snake will appear from the foliage and attempt to strike at any intruders with their wide but short jaws. And lastly, from the Destiny franchise, we have the Fallen Dreg. Though more commonly known as Fallen, the Eliksni are an arthropoid, bipedal hexapodal extrasolar species were once a united species gifted by the Traveler in the similar manner to how it had gifted humanity. However, an event known to them as the “Whirlwind” have shattered their civilization and have reduced them to nomadic scavengers and raiders when they were denied their claim to the “Great Machine” and return their species back to glory. 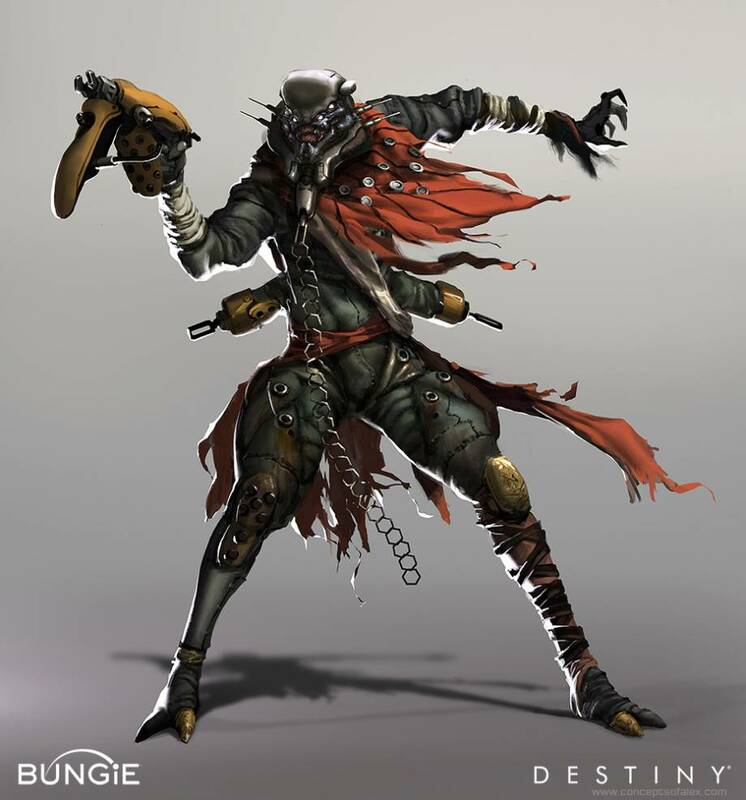 The lowest rank of the Eliksni warriors, the Dregs are visually distinct from other Fallen warriors due to the lack of their lower arms removed as part of a ritual of humiliation and obedience to their superiors. In order to reclaim their lost station and the right to regrow their lost manipulative limbs, the Dregs seek to prove their worth in selfless aggression in the face of hostile forces, of which few survive to have such an honor. 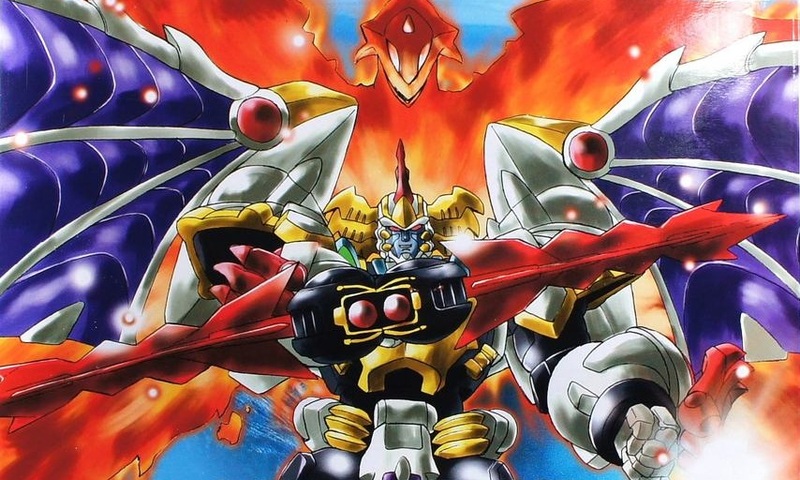 Once a fearsome super robotic lifeform with the intention of galactic conquest, Devil Gigatron was defeated by the unlimited potential and power he had sought. Imprisoned by the Dimensional Patrol and humbled by his defeat, Gigatron was informed of the vast extradimensional threats that the Patrol defended against. The knowledge awakened something new in Gigatron, and he gave up on his evil ambitions to join the Dimensional Patrol. With his incredible Devil powers that allowed him to transform himself into nearly anything imaginable, Gigatron usually works alone, preferring jobs against the greatest of cosmic threats. Devil Gigatron is able to channel vast amounts of energy, called his Devil Power. 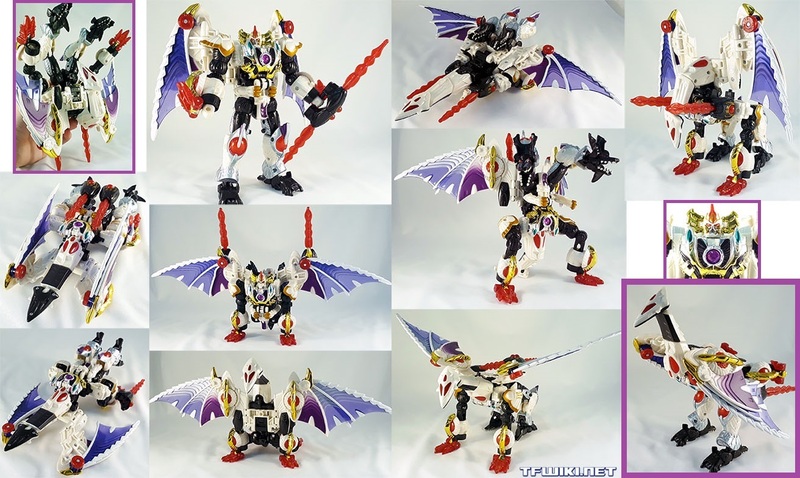 Usually the best way for Gigatron to channel his Devil Power is by reconfiguring his body into alternate forms, with the most common described below. In all seriousness, nice conversion there Mal. 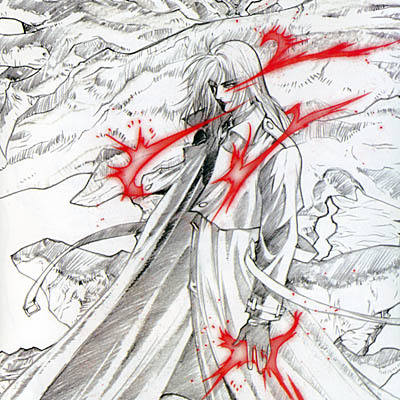 Though this is the first I ever heard of this bot having a Pretender mode, and why does it remind me of Sesshomaru? Either way, thanks to the mod that got rid of all those bot spam posts. Now let's get on with the show, shall we? 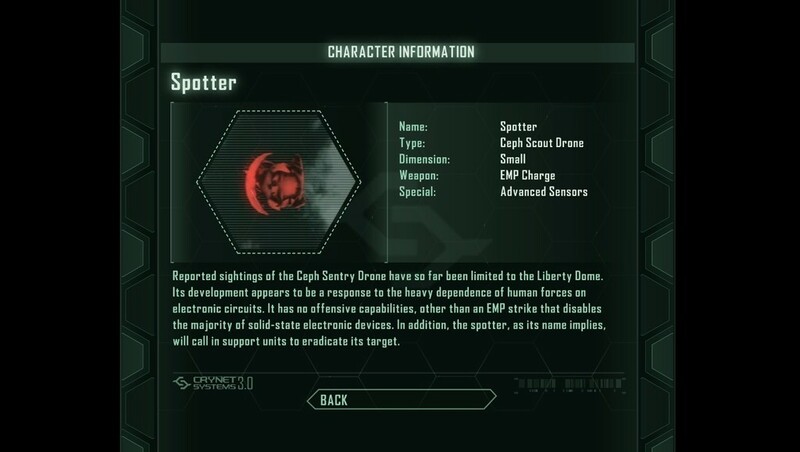 First off, from the Crysis franchise, we have the Ceph Spotter. An automated forward observation platform, the robotic unit known as the Ceph Spotter are utilized by the Stage 2 Ceph for deep observation of enemy lines as well as a form of roving alarm system to call to attention intruders. In fact, besides its ability to perform a localized non-nuclear EMP, its most lethal aspect is its ability to call for nearby reinforcements. However, to ensure that Ceph technology does not fall into the hands of the planetary aboriginal population to be used against them, the Ceph Spotter is hard-wired to self-destruct if either sustained heavy enough damage or unable to escape capture on its own. Next up, from the Jak and Daxter franchise, we have the Hopper. An anuran-esque Lurker, the Hopper are an amphibious creature that thrive in warm, humid environments such as the Forbidden Jungle and are mostly found near bodies of fresh water such as rivers. Its spiked skin gives it excellent camouflage, ruined only by its large yellow eyes and are incredibly evasive due to their superior jumping ability. And lastly, from the Destiny franchise, we have the Vandal. 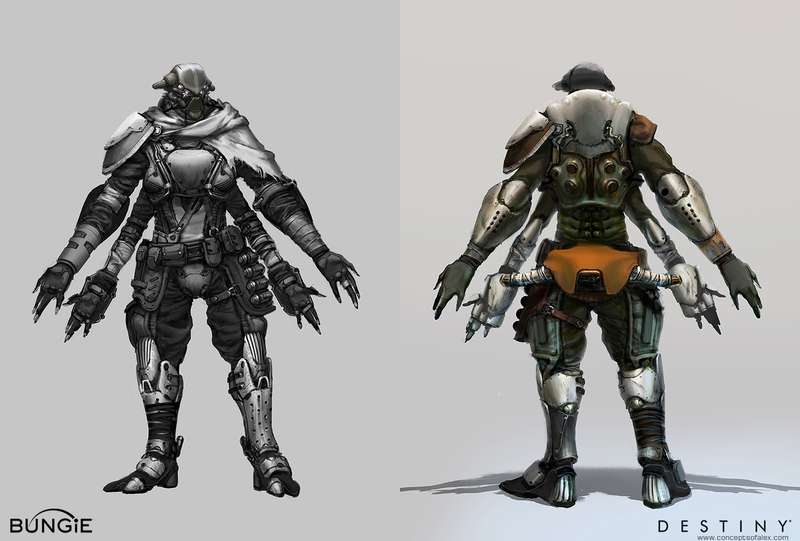 The most common Eliksni warrior, the Vandal serves many roles in many a Fallen crew. Soldier, brawler, assassin, scouts, the Vandal is skilled enough and well versed to take on any needed position so long as they are able to pillage and kill as much as they desire. Sort of. Car Robots was a Transformers anime from 2000 that used original characters (although many characters were just repaints of older toys). 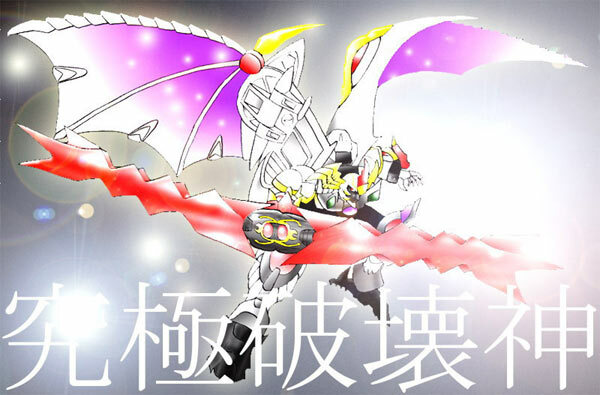 When the anime was redubbed into Robots in Disguise and aired on Fox Kids, the main villain, Gigatron, was renamed as the more familiar Megatron (and called himself Galvatron for his recolor power up). Likewise, the main hero, Fire Convoy, is not Optimus Prime, but was renamed that for the American audience. Anyway, I preferred this bot as his original character and not just another Megatron. The Pretender mode is something I gave him as an extra form.